GAC team member, Jim Lees, takes a look at June, a time of year when the fishing can be both spectacular and frustrating! 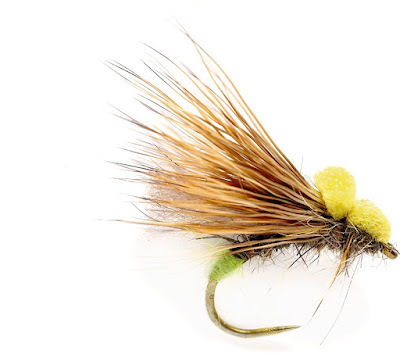 June is the month where the fly hatches start to explode, evening fishing really kicks off and a lot of anglers start to obsess about exactly what the Trout are eating. When you meet an angler on the water with a fly patch covered in flies I've always taken that as a sign they've had a pretty frustrating day. Rather than constantly changing flies it can be more effective to just pick a couple of patterns to represent the most common insects on the water and when they don't work rather than change your fly as the first option, change you're angle of attack. It's amazing how often changing your position by only a couple of feet and plugging away to get the best possible drift with the same fly can reap rewards. One of the species that really kick in on the rivers during June is the Yellow May Dun and although we do carry a range of flies to cover this species in different stages of its life cycle the Foam Bodied Yellow May Dun takes more than it's fair share of fish. 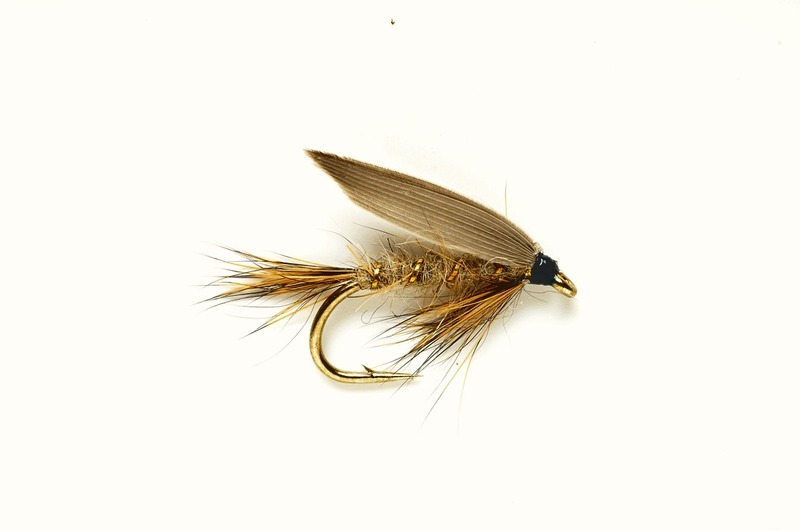 With its Deer hair wing, light hook and foam over-body it floats well, is durable and can represent fully and part emerged duns and even female spinners returning to the river to lay eggs. It's a pattern we have a lot of confidence in. Alongside the Yellow May Duns and what's left of the Olive Uprights that were so prevalent last month June brings a glut of smaller Olives, depending on your area of the country you can have Pale Watery's, Pale Evening Duns, Small Dark Olives, Spurwings, Medium Olives and even towards the end of the month Blue Winged Olives. Again we carry a wide range of flies to cover every situation but a very good starting point is Minnikins Paradun Pale Watery. This is an excellent general “olive” Paradun pattern that works well in all types of water from long smooth glides to heavier broken water. As the month goes on some of the bigger rivers, especially those with little cover in the way of bankside vegetation, can have the rise concentrated into the evening. Leaving the daytime angler with a lot less rising fish to go after. On days like this fishing the Duo or if you're old like me, fishing a dry and nymph New Zealand style, can bring fish when the river seems barren. Depending on how high or low the river is this method can be effective as the broken water dissipates in to the calm of the pool, towards pool tails or even in the fastest riffle where Trout will often take up take up feeding positions in the highly oxygenated water. More so if we've had an unusually long spell of hot weather and little rain. The length of tippet used from the dry to your nymph can be as short as 18 inches and as long as 6 foot. This can depend on many things such as the depth of the area being fished through, the speed of the current and even the weight of the nymph used. As a general starting point a tippet length of 3 foot and a nymph with a 2 to 2.5mm bead will serve you well in most circumstances but you should be ready to make changes if you find the nymph snagging bottom regularly or you know you're fishing fairly deep water and you're not getting any takes. We like to use very general nymph patterns with Pheasant Tail or Hares Ear bodies and Copper Beads and as an indicator the SR Klink Duo Special. There are many patterns that are good as an indicator fly for fishing the Duo method but the integrated tippet ring at the tail end of this fly and the bright coloured wing post make this fly ideal - especially when you need to pick it out in those dark runs that are often pocked with foam. Not quite as imitative as a lot of other flies but a fly with a job to do and a fly that does it well. Don't forget to load that wing post up with a quality floatant that will keep it riding high through the riffles! With June bringing more dependable evening Caddis hatches as the light starts to fade an emerging or egg laying Caddis pattern can often catch fish that have proved difficult to tempt earlier in the day, even if they appear to be feeding on Upwing Duns. 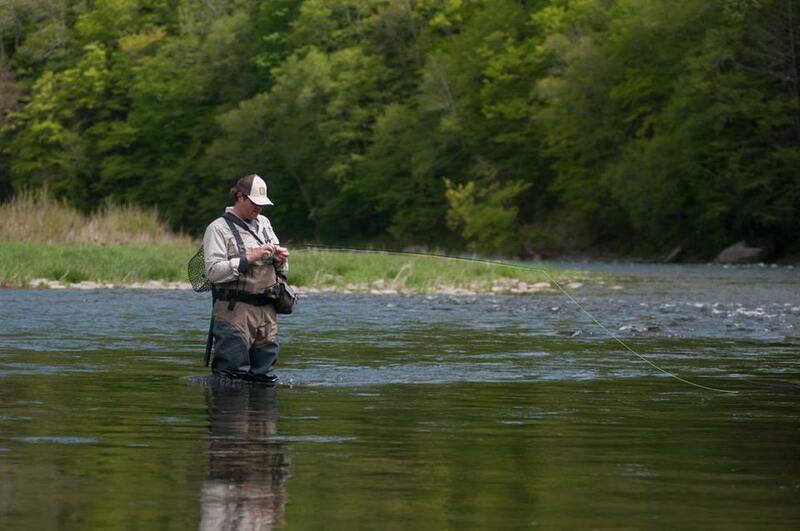 With Caddis patterns Trout can also become a little more tolerant to a dragging fly. 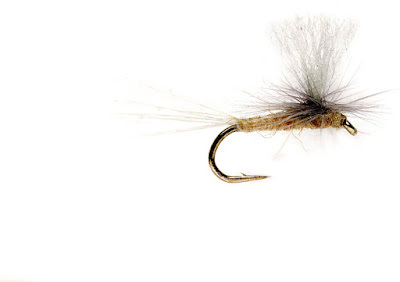 With all that in mind we like a fly that can cover all stages of the Caddis hatch, is easy to see and floats well even when dragged across the current. The Caddis Balloonhammer fits the bill perfectly and can be fished effectively into the darkness. For those anglers, like myself, with less than perfect eyesight fish rising in to the darkness of night can be very frustrating. No-one likes leaving the river when fish are still rising strong but when you can't see your fly any more and find yourself striking at rises you “think” are near your fly you can quickly put a pool of good fish down and get pretty angry with yourself. 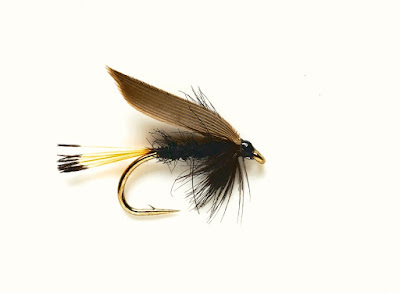 Another option for this situation is to tie on a pre-prepared heavy wet fly leader with a single dropper. Select two wet flies and work your way down the pool stopping at each rising fish and casting your wet flies so the will drift past or swing across the nose of those rising fish. Takes can be quite savage so it pays to have a strong leader, strong hooks and steady nerves to allow the fish to take line almost as soon as it is hooked. Fishing this method has been common for many many years but when anglers get fixated on dry fly fishing it is easy to forget just how effective this method can be and much extra time it can add to the end of your nights fishing. There are specific “Clyde Night Flies” we carry in stock for this purpose but as well as the traditional flies we've found general patterns like the Gold Ribbed Hares Ear (winged) and Blae and Black to be very effective. 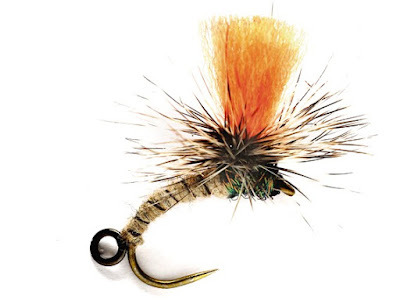 For dyed in the wool dry fly purists, we'd urge you to give this a try!